Zavala Immigration Lawyer > immigration > What Are Military Benefits and Parole in Place? Do you have advanced immigration concerns? If so, you need to talk to an experienced and dedicated lawyer immediately. Avoid what could amount to costly mistakes in your case and instead retain an attorney to help you with all of your applications and paperwork. A person who has previously served in the selected reserve of the ready reserve or active duty and was not dishonorably discharged. An individual currently in the selected reserve or the ready reserve. An active duty member of the U.S. Armed Forces. Parole in place is a special program that allows undocumented family members of military members in the United States to obtain a green card, also known as permanent residency status. It also allows foreign national families to adjust their immigration status to that of lawful permanent resident without leaving the United States. If a person has stayed past their period of authorized stay or over stayed their visa, this program is not applicable. Make sure you submit all the right information the first time around to avoid problems. Two identical passport styled photos. Evidence that the family member is an active or former member of the armed forces. A completed I-131 form application for travel document. Any other evidence that helps to support your claim. Evidence of the family relationship, such as a birth certificate or marriage certificate. 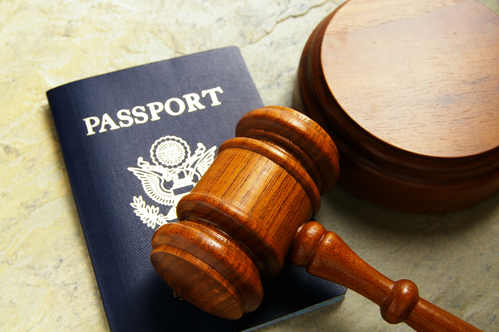 Handling a parole in place claim requires an immigration lawyer who is familiar with what USCIS is looking for and one who can help you to avoid mistakes in your case.